Titled after SLOW DOWN / DON’T STOP: A Manifesto authored by the artist in May 2016, the installation is created specifically for the A.I.R. fellowship. King bifurcates the gallery with a 19ft plywood painting which simultaneously acts as a wall, reminiscent of common barriers built around scaffolding. 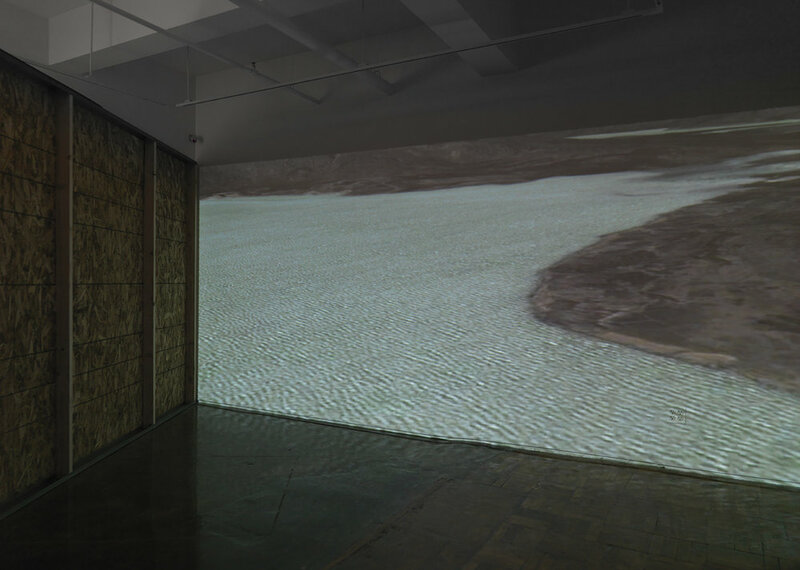 Within the newly created space in the gallery the viewers access the video Pang, in which the artist uses Google Earth to survey the landscape. 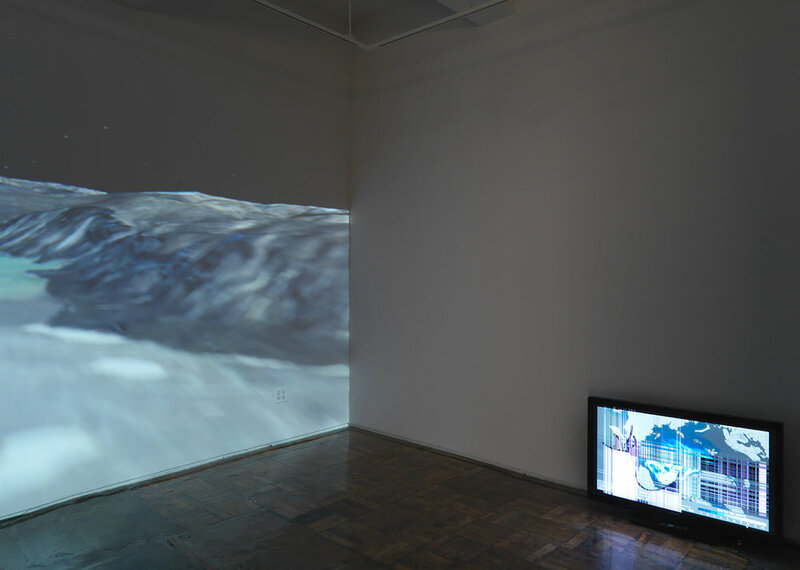 By virtually traversing the region of a remote Arctic village -Pangnirtung, Canada, where the artist once lived- she exposes us to that scenery constantly discussed but seldom seen.